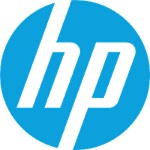 You are cordially invited to join us Thursday, December 13, for a highly-curated, mostly invite, salon-styled gathering with hors' d' oeuvres and wine at HP headquarters in Palo Alto. Please join, HP and Vator for their SplashX Invent Health series. The December event will focus on "Vitality: Lifestyle as a drug." SplashX Invent Health (#splashxinventhealth) is a quarterly twilight salon-styled tech talk and mixer produced by HP and Vator, where valuable lessons and insights are shared by healthcare investors, startup entrepreneurs and corporate innovators. While we do have guest "speakers", we're all participating in the dialogue. We encourage the audience to grab the microphone and engage in the conversation! SplashX Invent Health series, or our SplashX Health stories of interest to your efforts. You can join our community to receive in your inbox our newsletters, alerts about our original content, events/salons, such as our SplashX Invent Health series, or SplashX Invent Health series and upcoming challenges we find and list on our VatorX platform.